Chitral (Urdu: چترال‎‎, Khowar: چھترار‎‎) is the capital of the Chitral District. It is on the western bank of the Chitral River. It has population of 20,000. ↑ "Personal Profile". na.gov.pk. National Assembly of Pakistan. Retrieved 29 May 2017. ↑ "Geography of Chitral". Chitralnews.com. Retrieved 2015-11-06. ↑ "INDO-IRANIAN FRONTIER LANGUAGES". Encyclopaedia Iranica. 15 November 2006. Retrieved 2015-11-06. ↑ "Post Codes". Pakistan Post Office. Retrieved 17 March 2015. 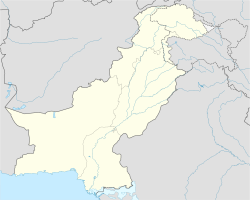 Wikimedia Commons has media related to Chitral. This page was last changed on 4 May 2018, at 12:53.